If you are interested in a light-duty pickup truck, you should check out the Ram 1500. 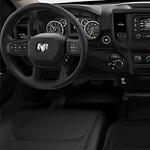 At Mills Chrysler Dodge Jeep Ram, our associates like to keep our customers informed about what our trucks have to offer, so let's have a look at a few of the capability features of the Ram 1500. Road hazards are everywhere, and no time is a good time to encounter one. When you do encounter a hazard that can damage your tires or wheels, it's worse when you aren't protected against the costs. Fortunately, Mopar® Vehicle Protection Road Hazard Tire & Wheel coverage guards your wallet while also giving you the roadside assistance. While you can try to get all of the information about the inside of a vehicle, it is sometimes a good idea to just admire the outside design of a vehicle. One vehicle that has a lot to offer on the exterior of the vehicle is the 2019 Jeep Cherokee. 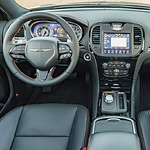 Just because it is a traditional minivan does not mean that the Chrysler Pacifica cannot exhibit a bevy of high-performance features. This popular family vehicle boasts a number of performance and capability offerings. The Pacifica experts at Mills Chrysler Dodge Jeep Ram invite you to visit our showroom so that we can teach you all about how to get the most out of this venerable vehicle. 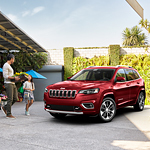 Chrysler understands that you need your family vehicle to be able to handle all of your family adventures with ease. 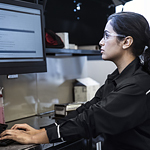 A recall occurs when it is determined that a vehicle has a significant defect. Those who receive notice of a recall can take their vehicles to an authorized Mills Chrysler Dodge Jeep Ram to have the repair made for free. 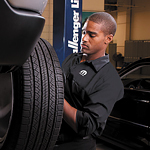 You should bring your recall letter with you when bringing it in for service. 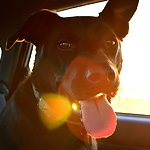 A safe and fun road trip requires research and planning, especially if your plans include bringing your pet with you on the trip. At Mills Chrysler Dodge Jeep Ram, we strive to help our customers get the most out of their vehicle, including helping you look after your furry companions while you're on the road. 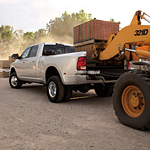 There is no questioning the fact that individuals the world over have come to appreciate the incredible power options of the Ram 3500 series. They like how durable everything is and they like how well-built this product is. One of the main reasons for this would be because the Ram 3500 possesses one of the best powertrain configurations available on the market today. Some of the characteristics include the great engine and the awesome transmission options. 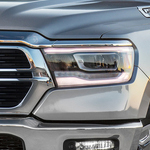 If you are in the market for a popular light-duty pickup truck, visit Mills Chrysler Dodge Jeep Ram so you can see all the safety features in the new Ram 1500. 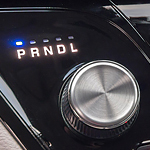 When you shift the Ram 1500 in reverse, this is when you'll automatically access the rearview camera system. The information screen in the center console switches to a camera screen as you shift to reverse, giving the driver the unique ability to be able to see everything in the rear that could be in the path of your vehicle. When you're looking for a new car, how important is interior space? 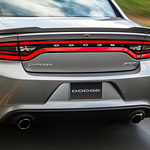 The 2018 Dodge Charger has plenty of room for you and your passengers to get comfortable. This popular mid-sized sedan also has flexible cargo room for all your essentials.